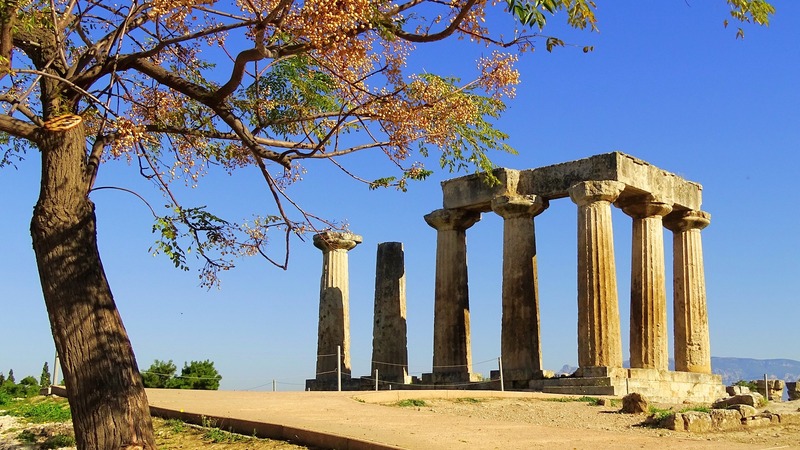 With its glorious and historic past, natural beauty, olive groves, vineyards, mountain peaks, delicious cuisine, balmy climate and amazing pristine sandy beaches look no further than the Peloponnese! 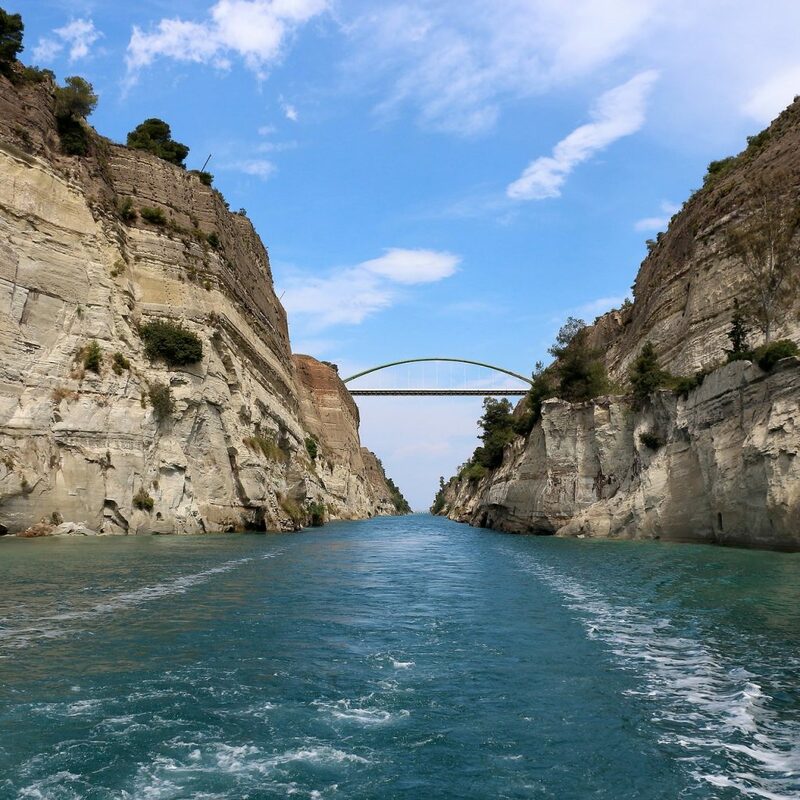 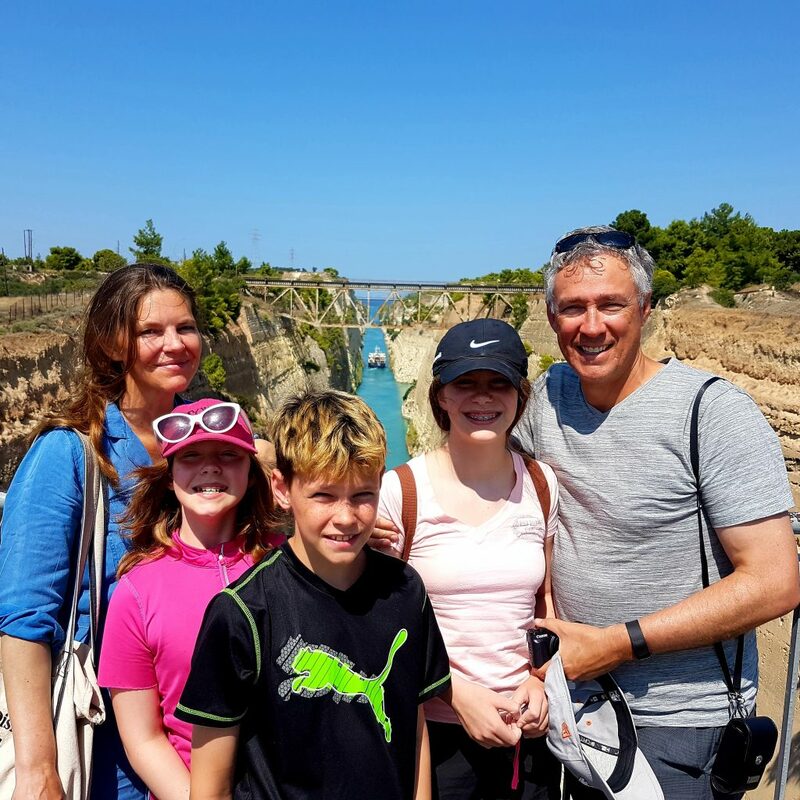 Severing Peloponnese from mainland Greece you will have the opportunity to visit the Isthmus/Corinth Canal! 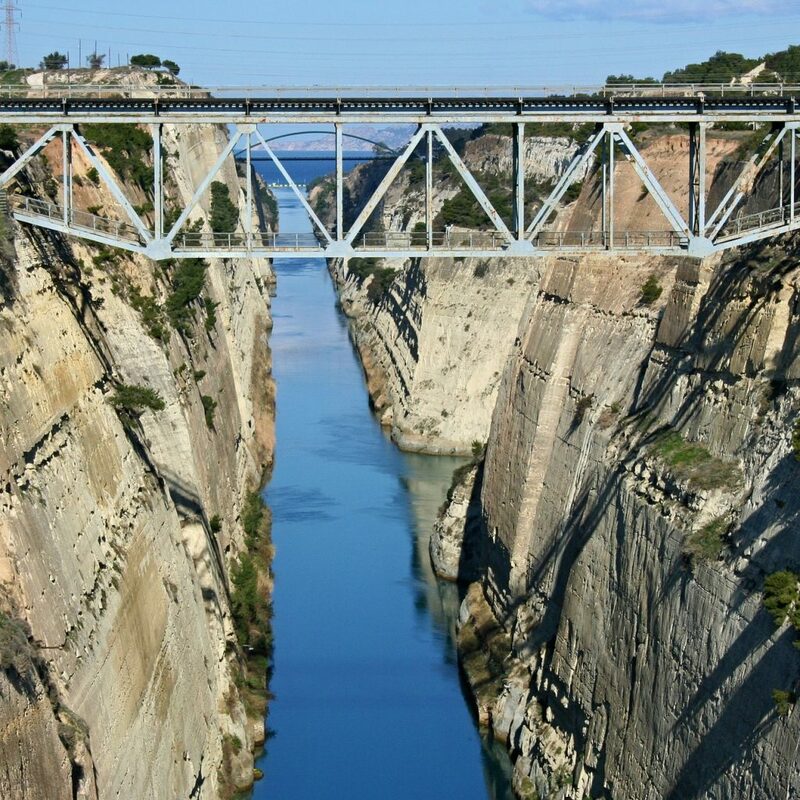 While the Greeks attempted to create a canal more than 2000 years ago, you will be captivated by the remarkable 19th century engineering not completed until 1893. The stark remains of ancient Corinth are perfect! 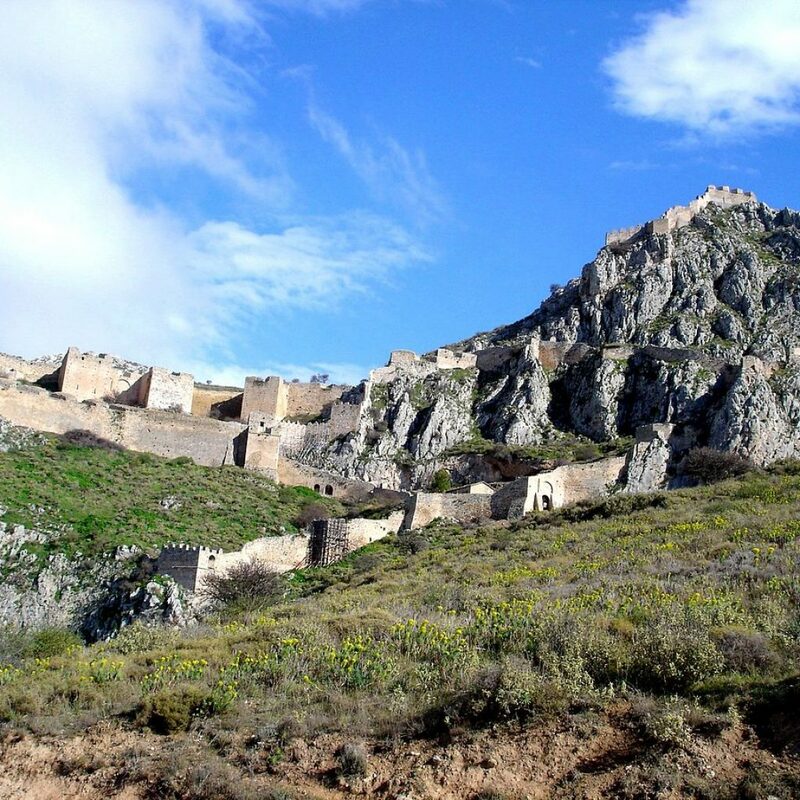 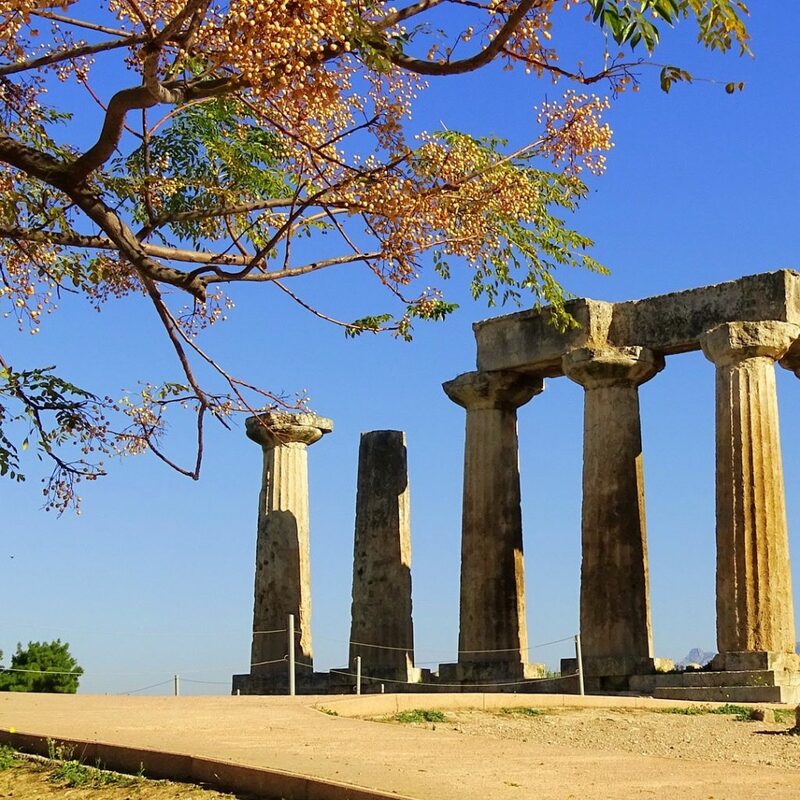 The Temple of Apollo with its fluted monolithic columns surrounded by wildflowers, together with Acrocorinth, a brooding hilltop fortress in the background and considered one of the finest of Greece, will captivate you! 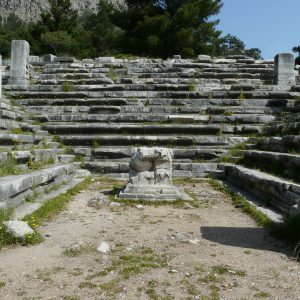 Little remains of ancient Corinth. 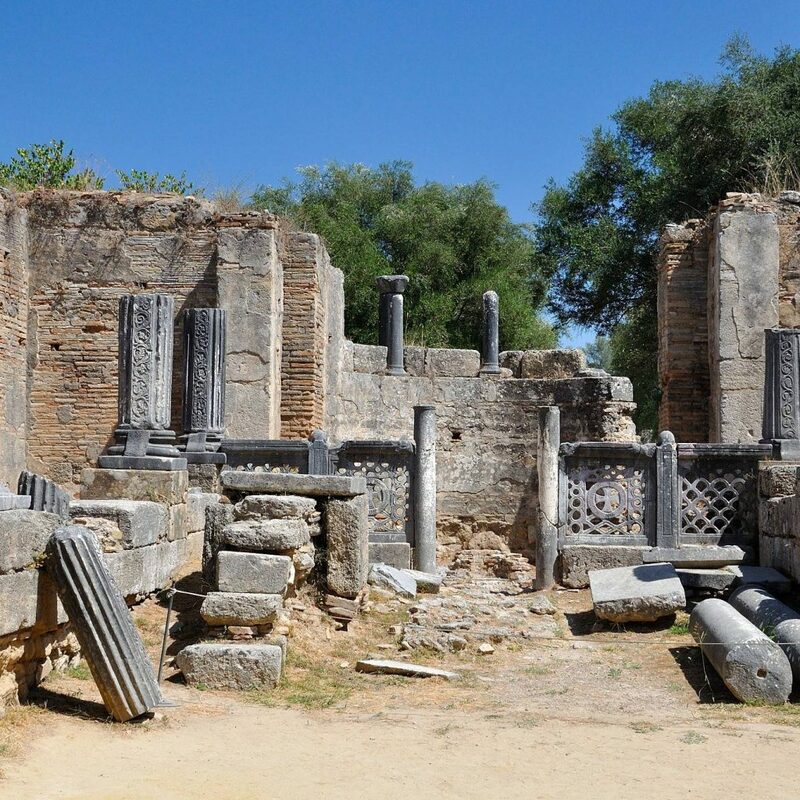 These ruined arches and entryways to shops on what was once the Agora call on ones imagination to see the gleaming buildings complete with statuary as they once were. 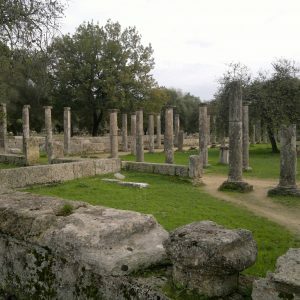 One sees acres of buildings and pavement stones, the well known synagogue lintel inscription and the ‘Bema’ on which the Roman proconsul would hold court. 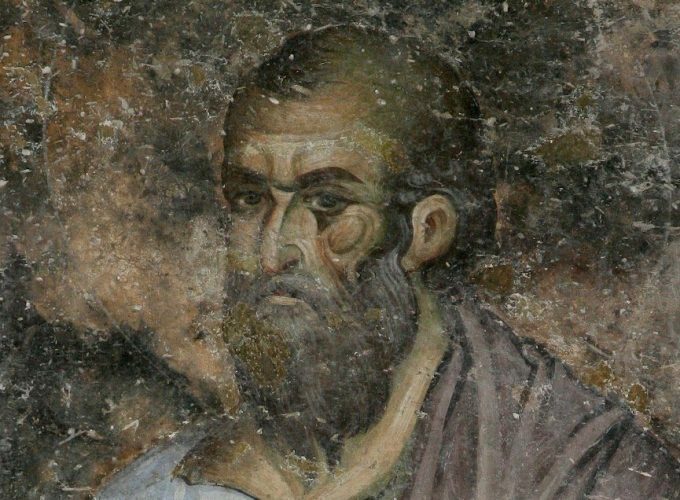 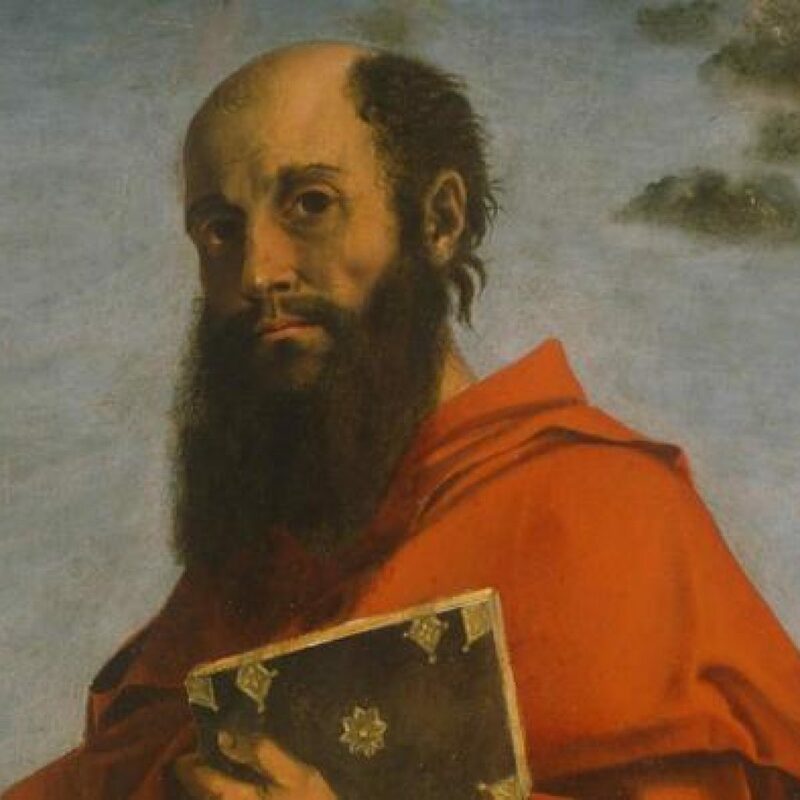 The Bema was also the public platform where St.Paul had to plead his case when the Corinthians hauled him up in front of the Roman governor Gallio in 52 AD. 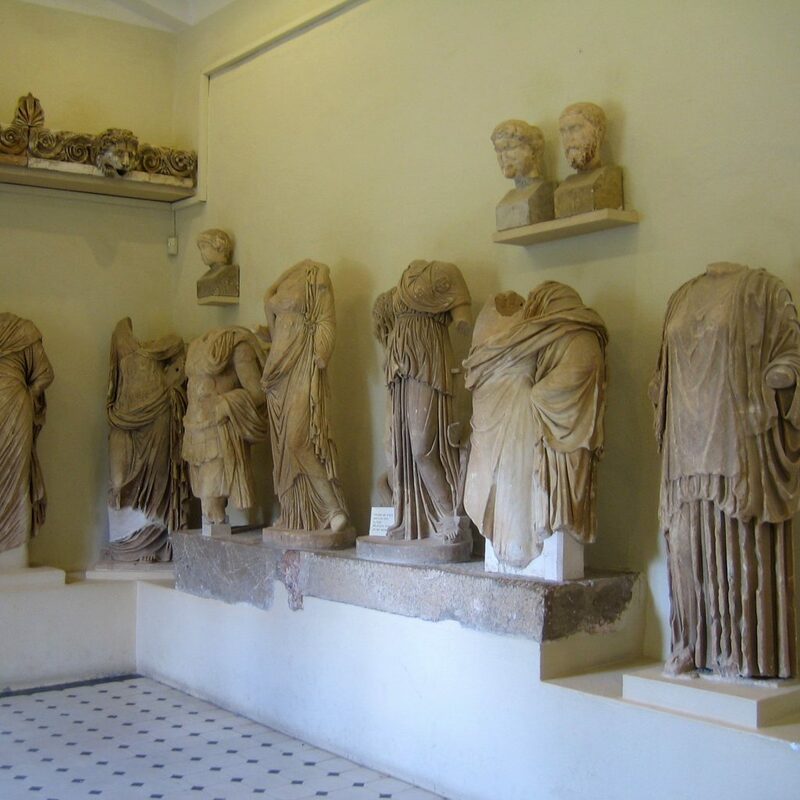 The Archaeological Museum of Ancient Corinth contains a number of artifacts of religious interest, including inscriptions of Gallio and Erastus, both mentioned in the Book of Acts; a synagogue inscription, menorah reliefs and votive offerings of terracotta body parts to Asklepios. 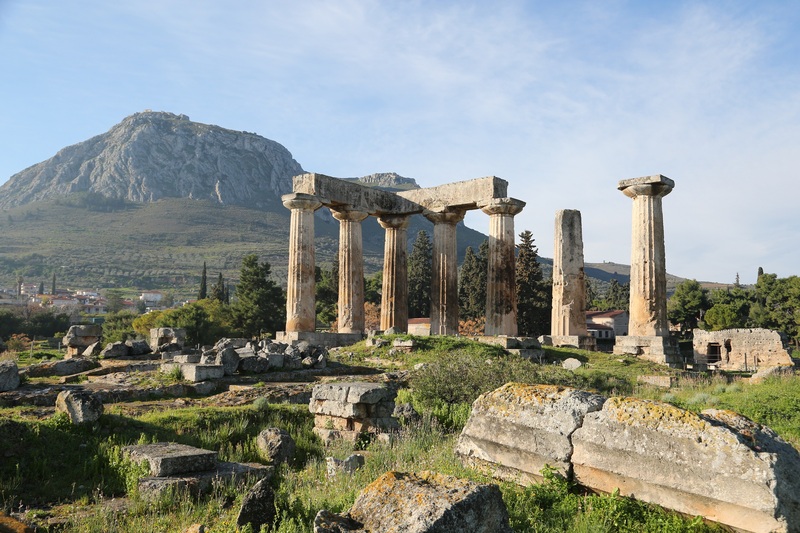 The Biblical Side of Ancient Corinth! When Paul arrived in 51CE, the Corinth he saw was little more than 100 years old, but was five times as large as Athens and the capital of the province. 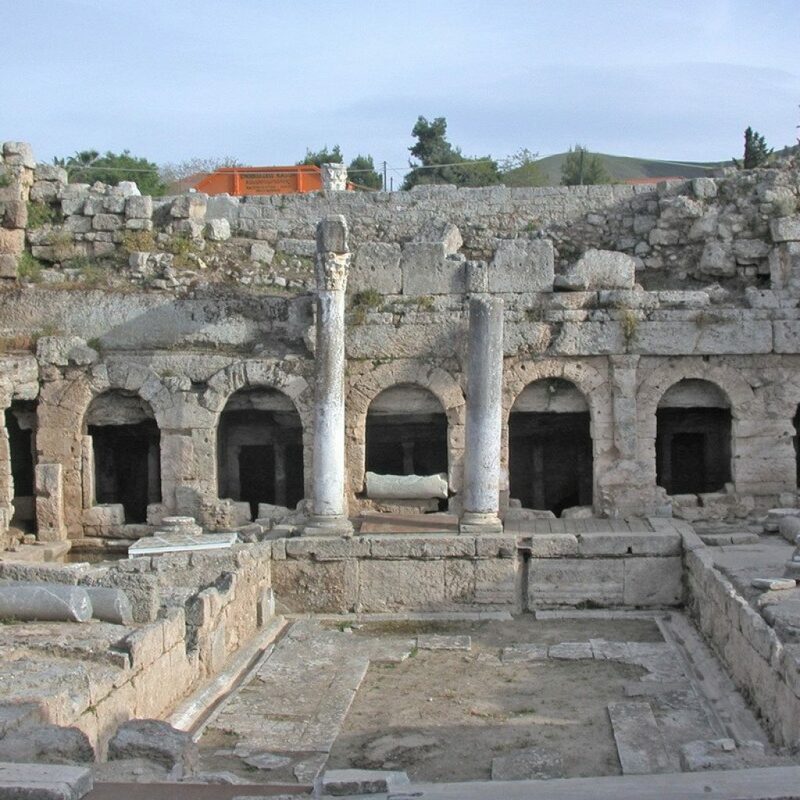 During his 2 year stay in Corinth, Apostle Paul preached the local Jews and Greeks about Jesus’ mission, before continuing his missionary journey to Ephesus. 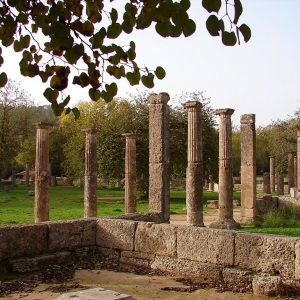 He set, however, strong foundations of Christianity in Greece. 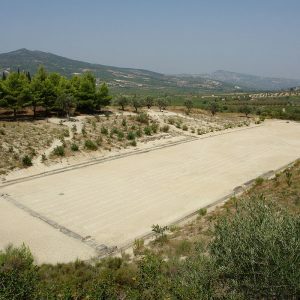 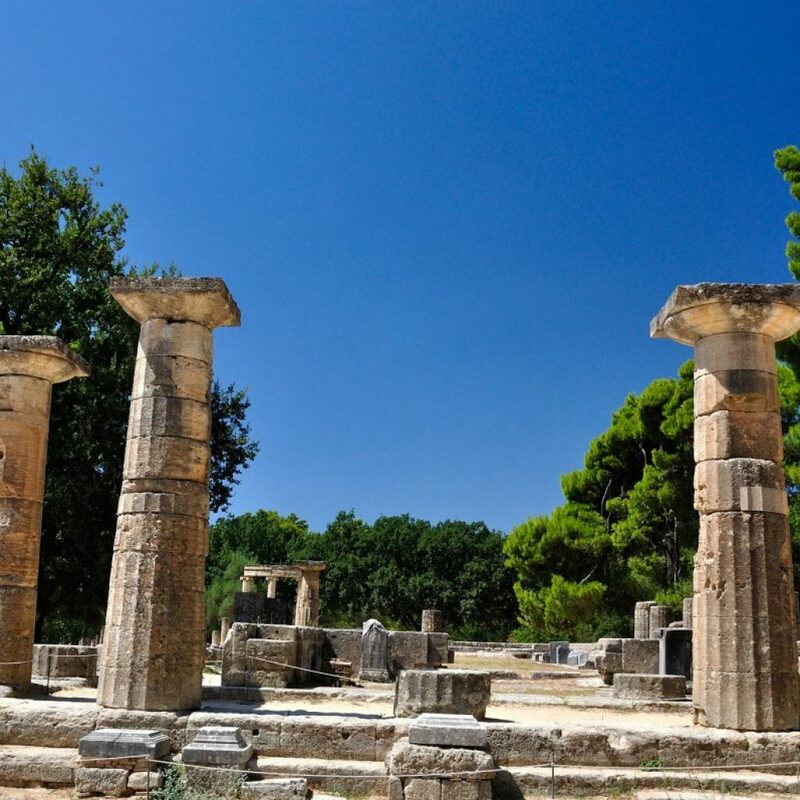 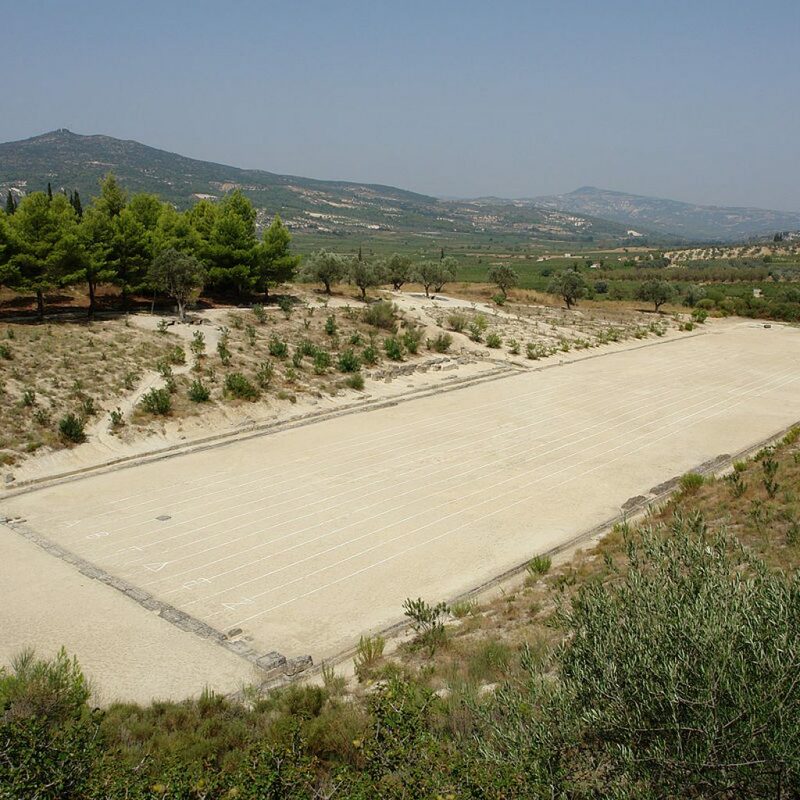 Nemea, where Hercules slew the Nemean lion is a religious sanctuary where pan-Hellenic athletic games were held and a must inclusion in your itinerary! 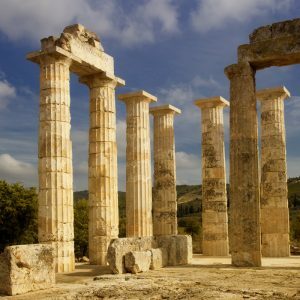 There are only a few places in Greece combining ancient Greek temples with what feels like the Napa Valley of California! 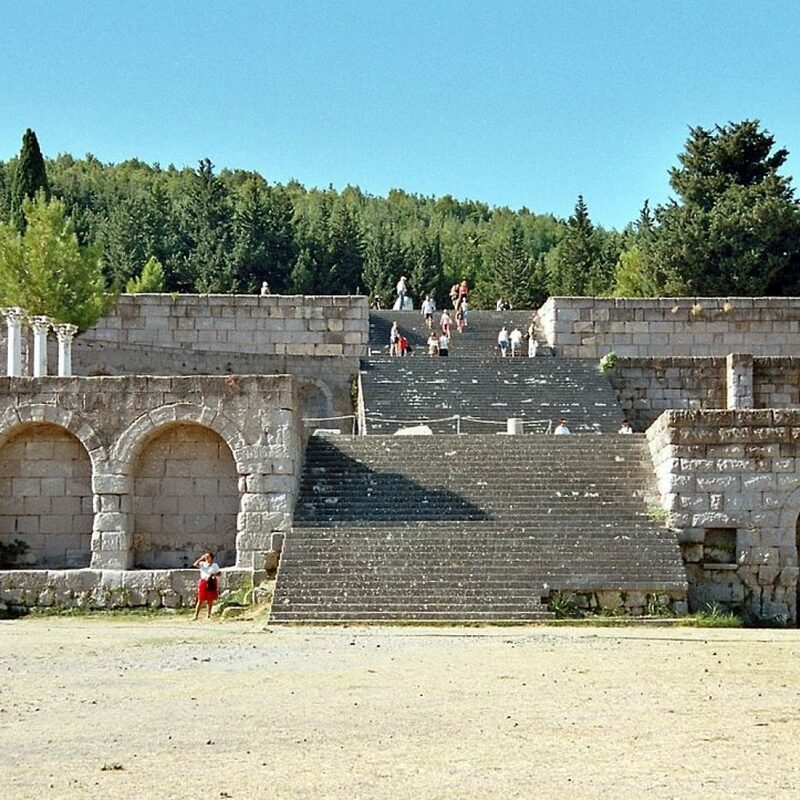 Discover the Temple of Zeus, ancient baths, the Nemean Archaeological Museum together with the amazing ancient stadium with it’s incredible passageway. 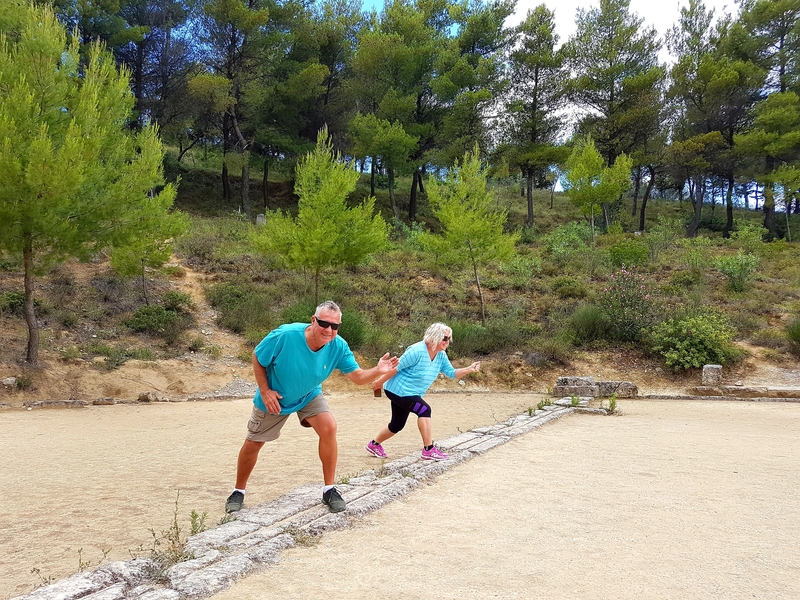 Feel the ancient athletic atmosphere as you take your mark on the ancient starting grid preparing to run the distance! 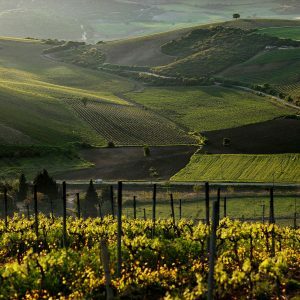 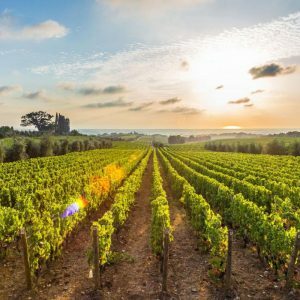 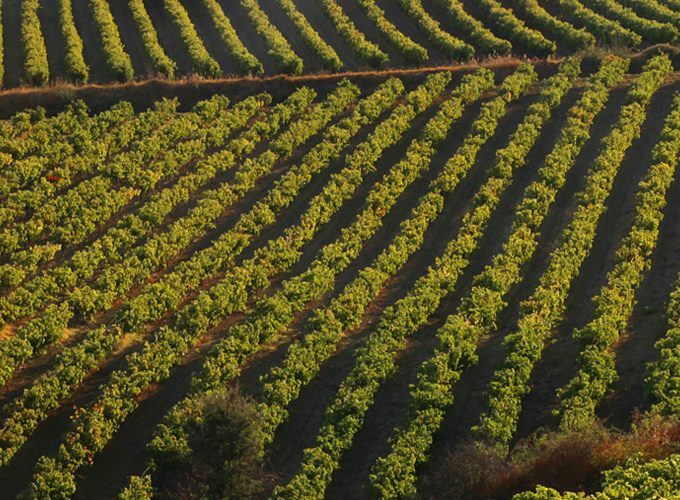 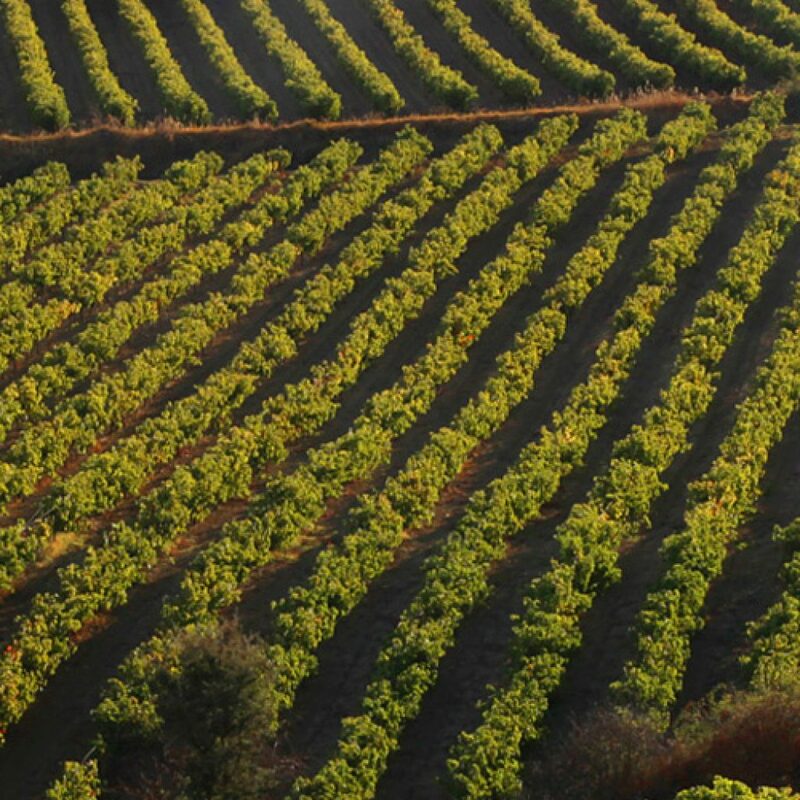 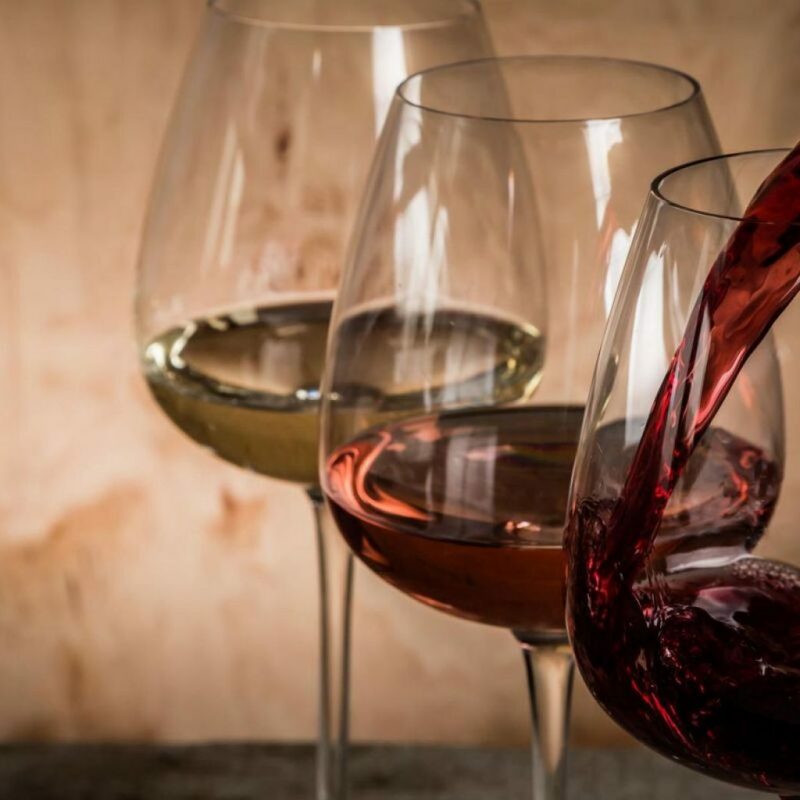 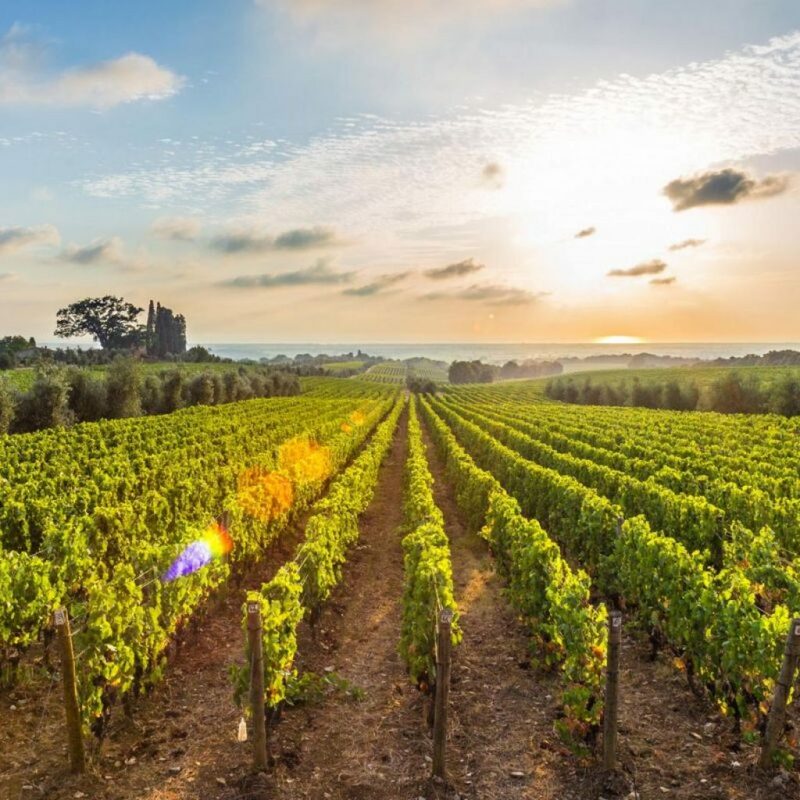 Boasting 3,500 years of winemaking history Nemea is the perfect region for wine lovers! 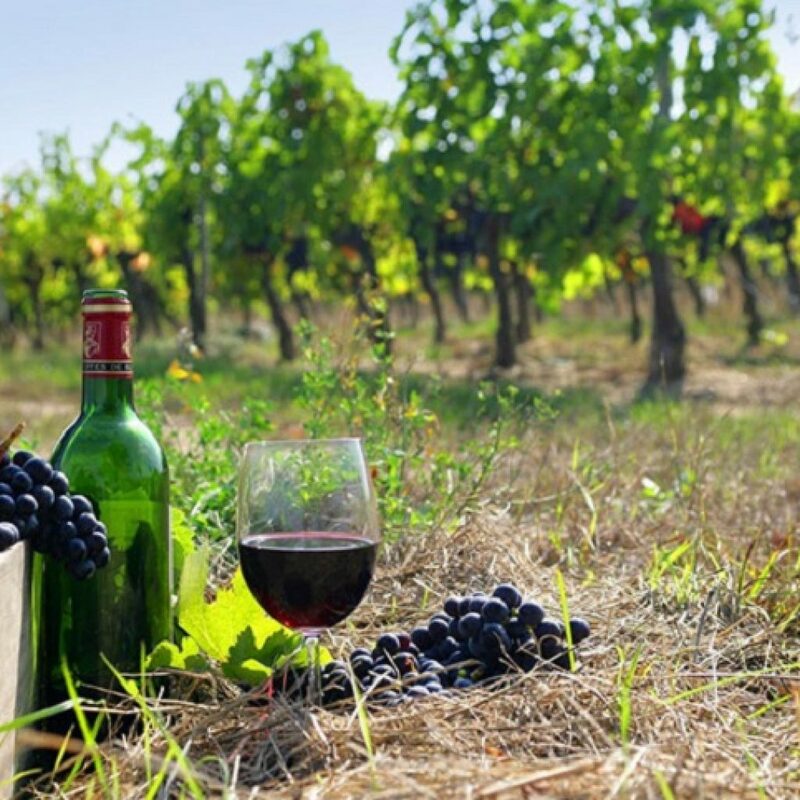 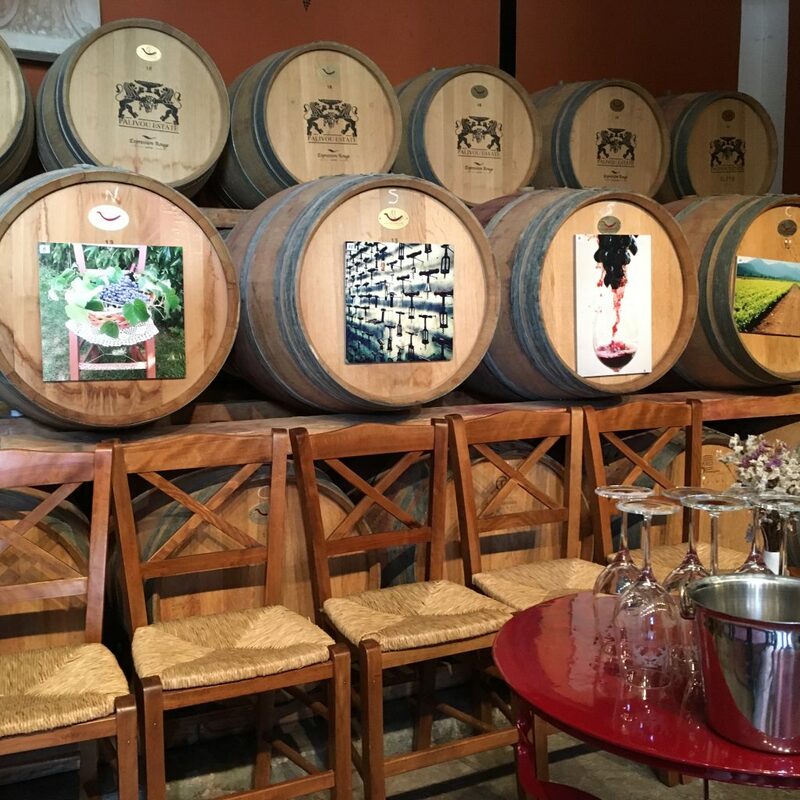 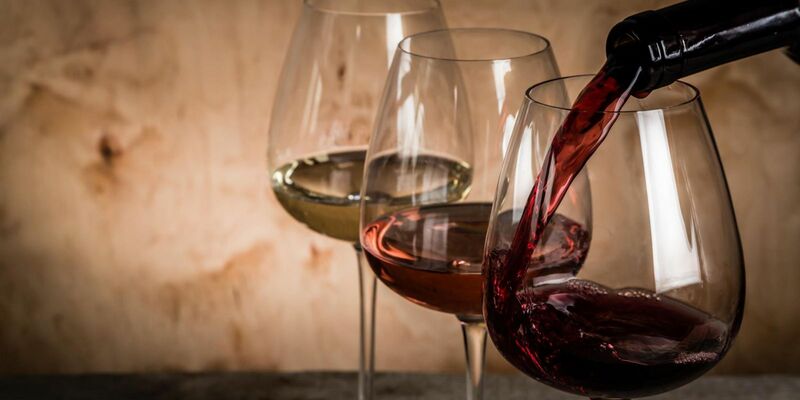 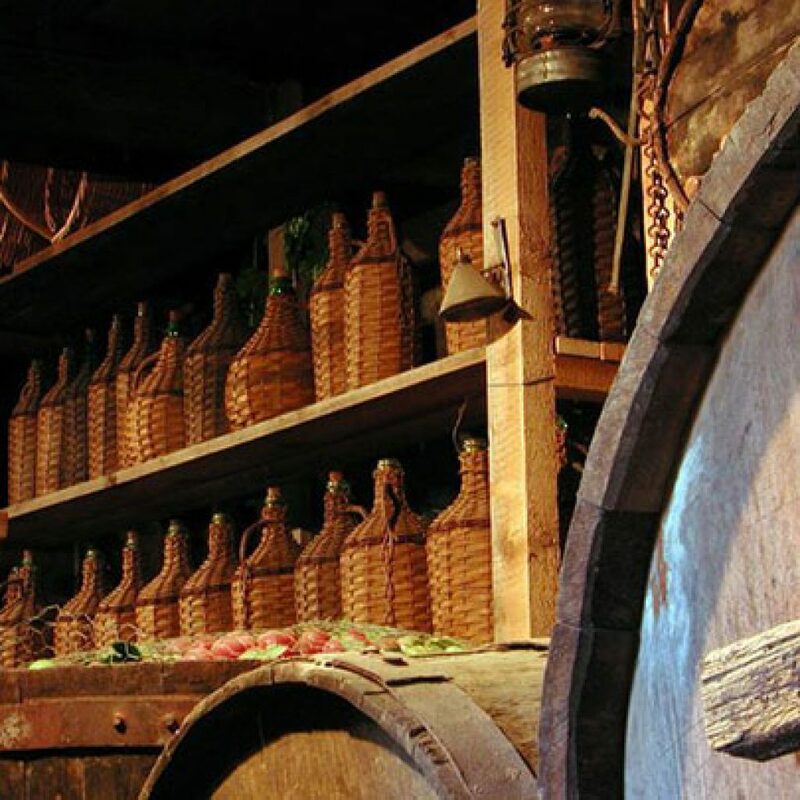 Visit famous wineries all of which grow the local grape variety Agiorgitiko and taste their local delicacies! 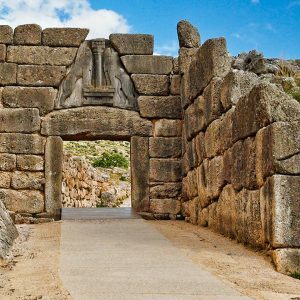 Discover the Bronze Age and explore King Agamemnon’s fortified kingdom, Mycenae, with the citadel and its ‘Cyclopean’ walls! 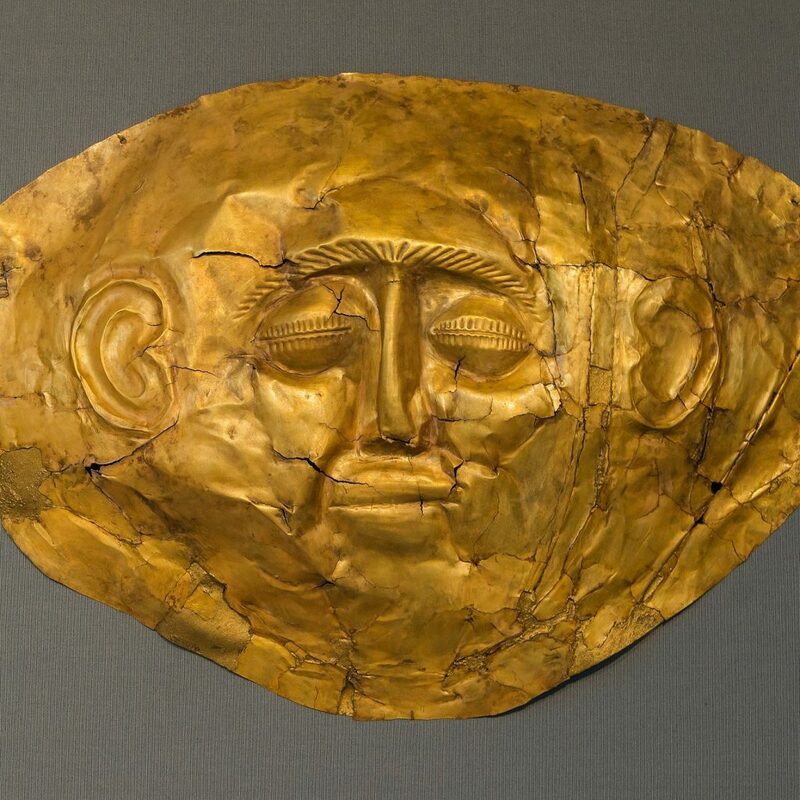 The Iliad and the Odyssey, Homer’s epic poems describe World Heritage listed Mycenae, ‘rich in gold’! 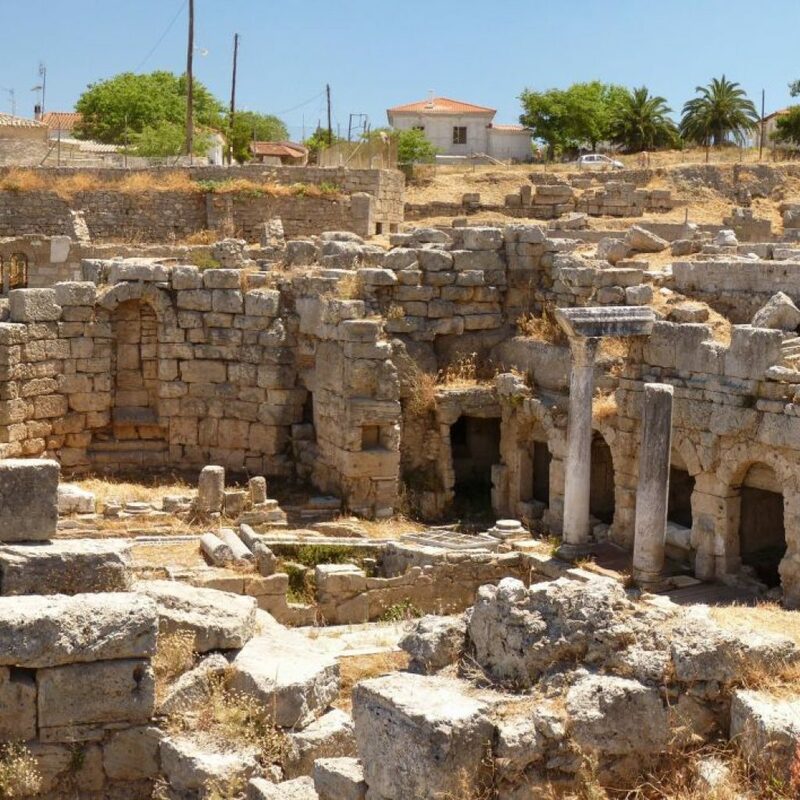 Enter the fortress through the dramatic Lions Gate and gaze upon the royal cemetery of Grave Circle A and the remains of a group of houses. 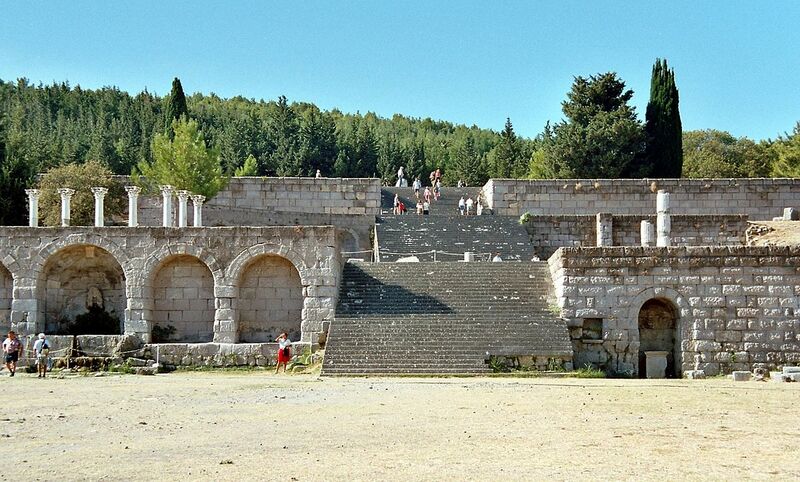 Following the main path you will reach Agamemnon's Royal palace and royal apartments centered on the Great Court. 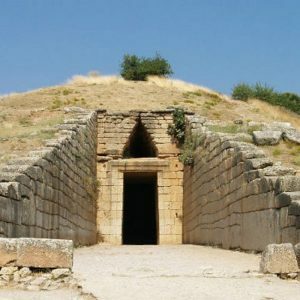 Heading down you will explore Clytemnestra’s tholos tomb and the entrance to the secret cistern. 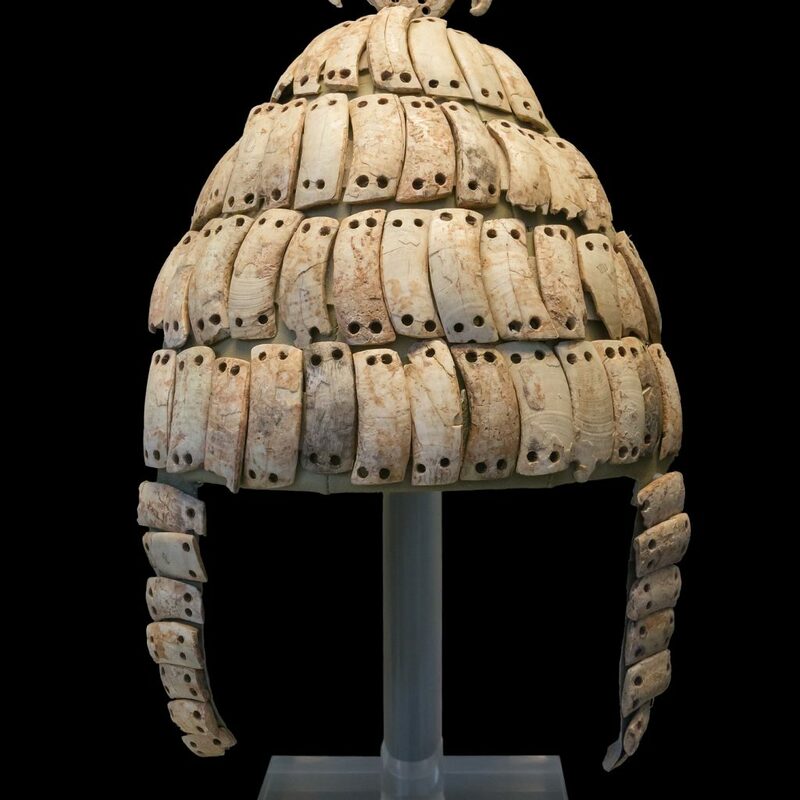 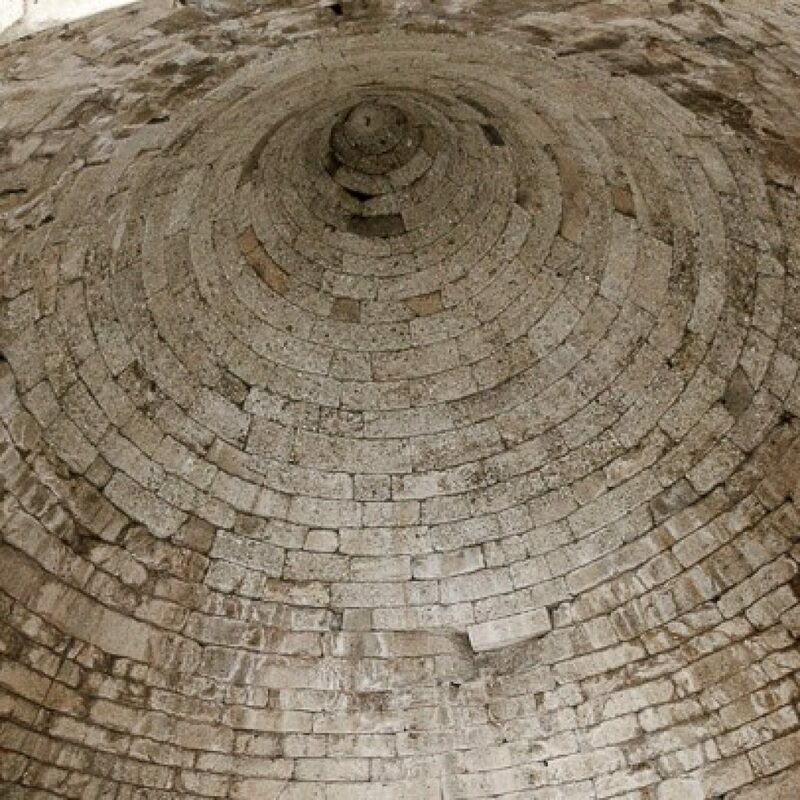 Another Mycenean highlight is the tholos tomb of the Treasury of Atreus together with the outstanding Mycenean Archaeological Museum exhibiting important artefacts. 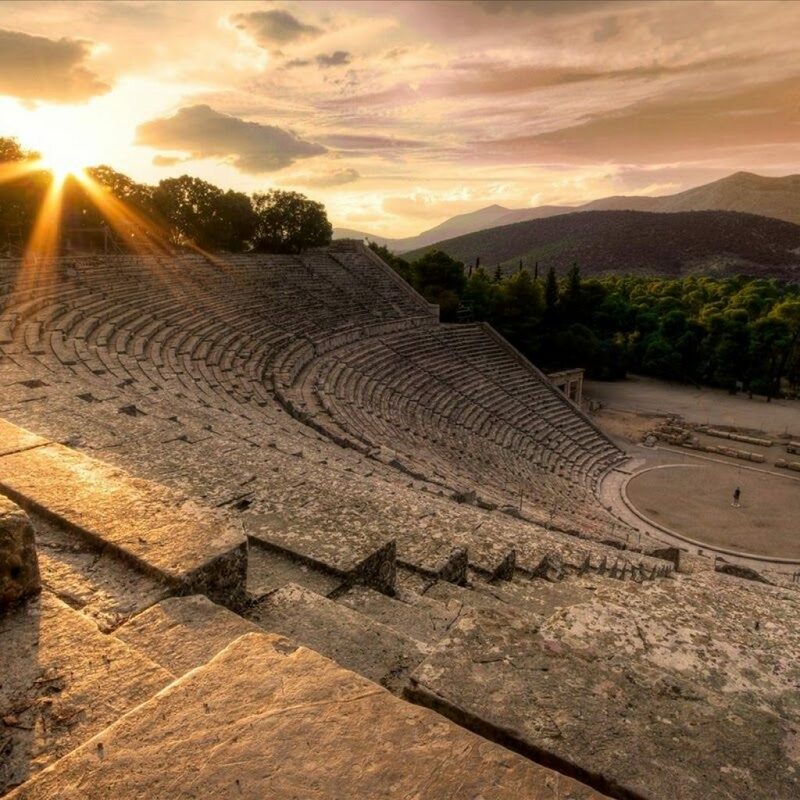 One of the most important archaeological sites is Ancient Epidaurus! 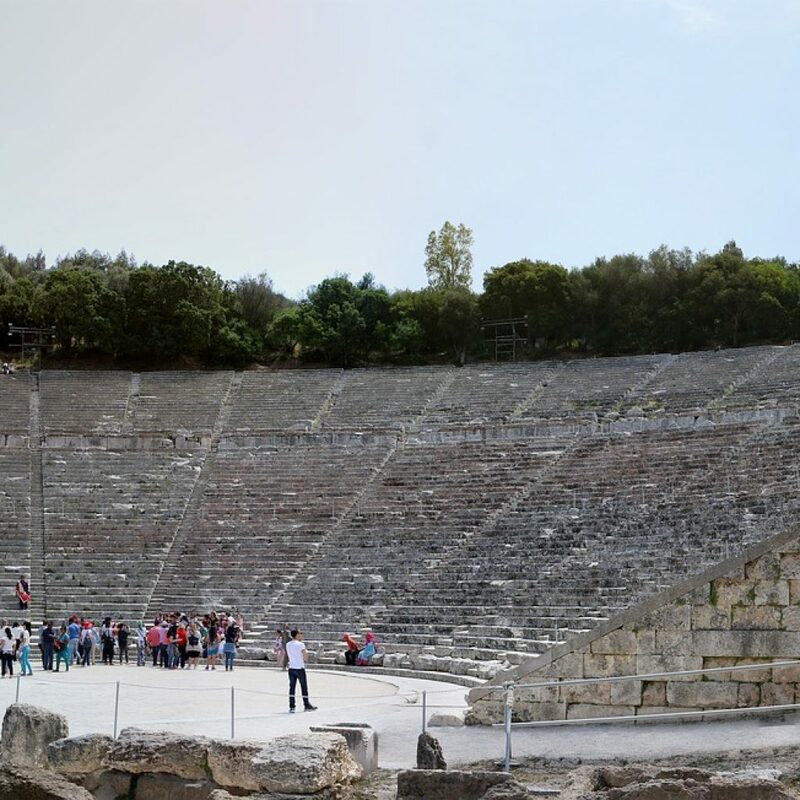 Famous for the ancient amphitheatre and admired for its exceptional acoustics it is a UNESCO World Heritage Site seating up to 14,000 people. 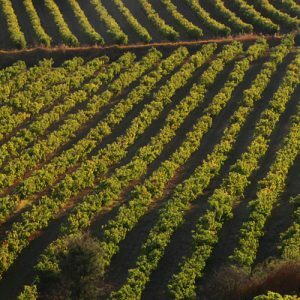 You will be captivated by the lush landscape behind the skênê, an integral part of the theatre itself and not to be obscured. 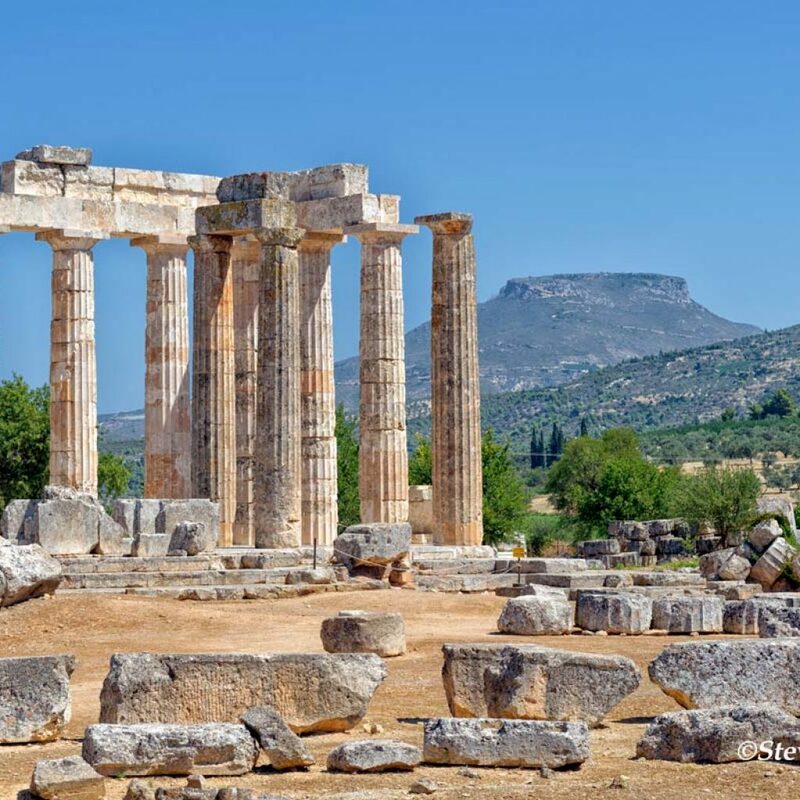 Seek your spiritual and physical healing from the demi-God Asclepius! 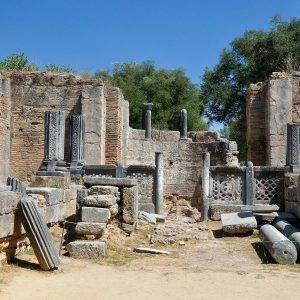 Noted for its reconstruction of temples and inscriptions found at the Asklepieion it also houses a substantial collection of Greek and Roman sculptures. 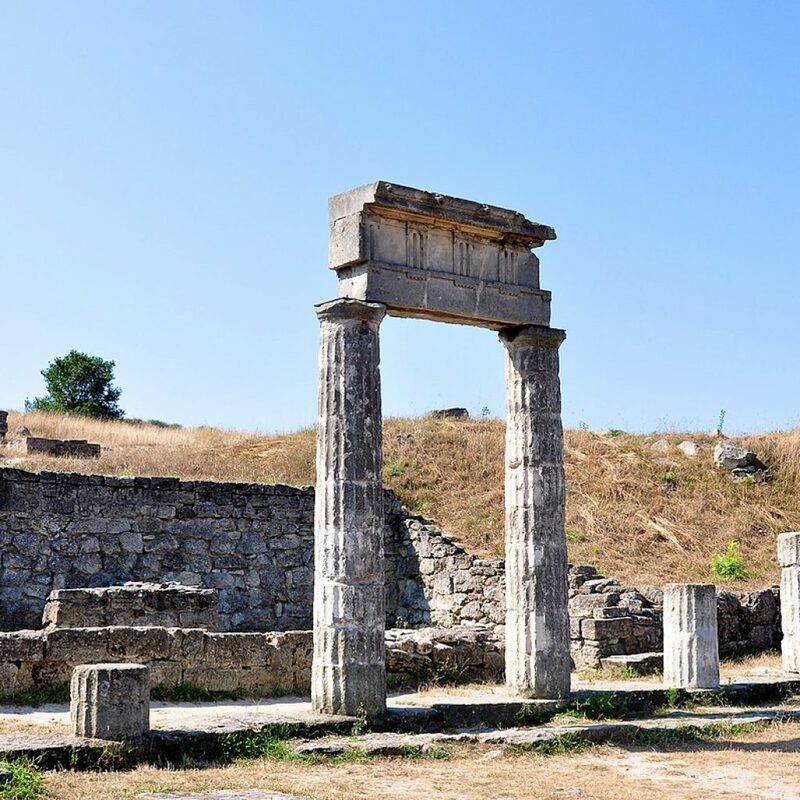 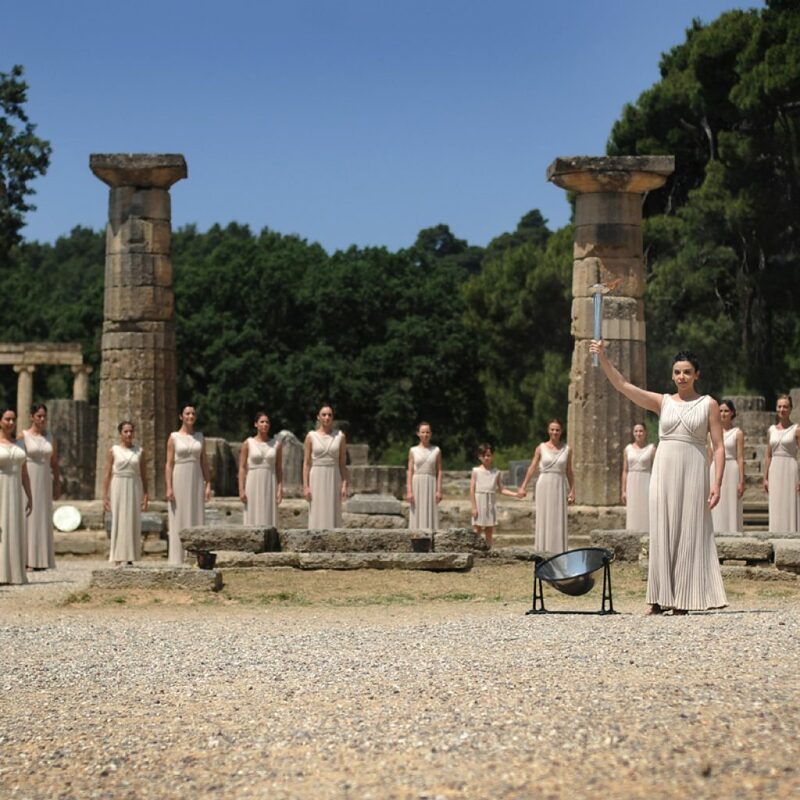 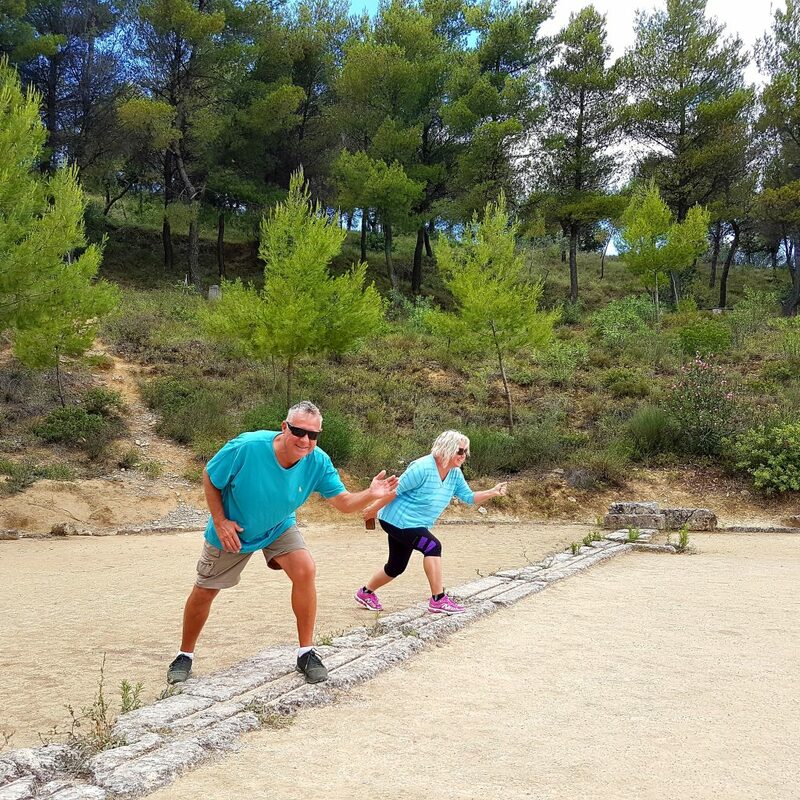 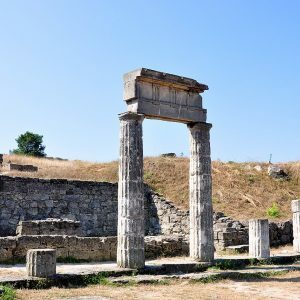 Your journey back in time to ancient Olympia, the glory years of the Olympic Games and Zeus’s most magnificent sanctuary will definitely astound you! 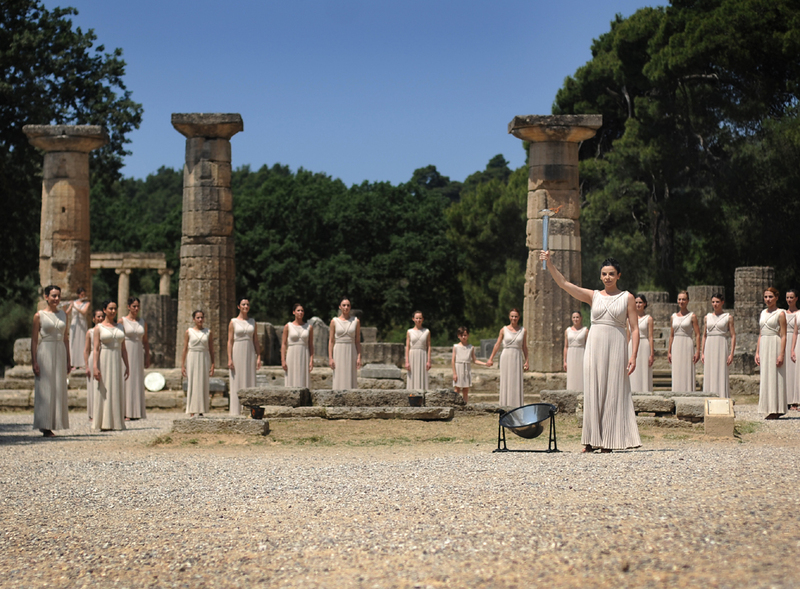 You will vividly relive the splendour, the glory and the breadth of a civilisation that once was! The Sanctuary of Zeus, the Temple of Hera, the Bouleuterion, the Prytaneion, the Gymnasium, the Palaistra, Pheidia’s workshop, the Leonidaion, the Philippeion, baths, villas, the Echo colonnade, the pedestal of Paionio’s Nike, the Nymphaion and the incredible ancient stadium will surely inspire you! 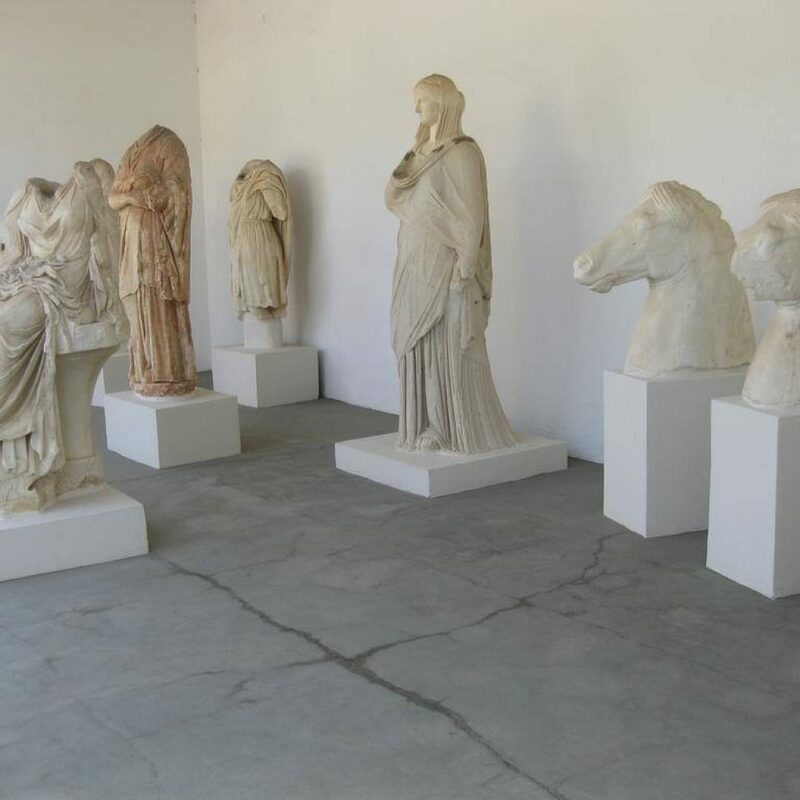 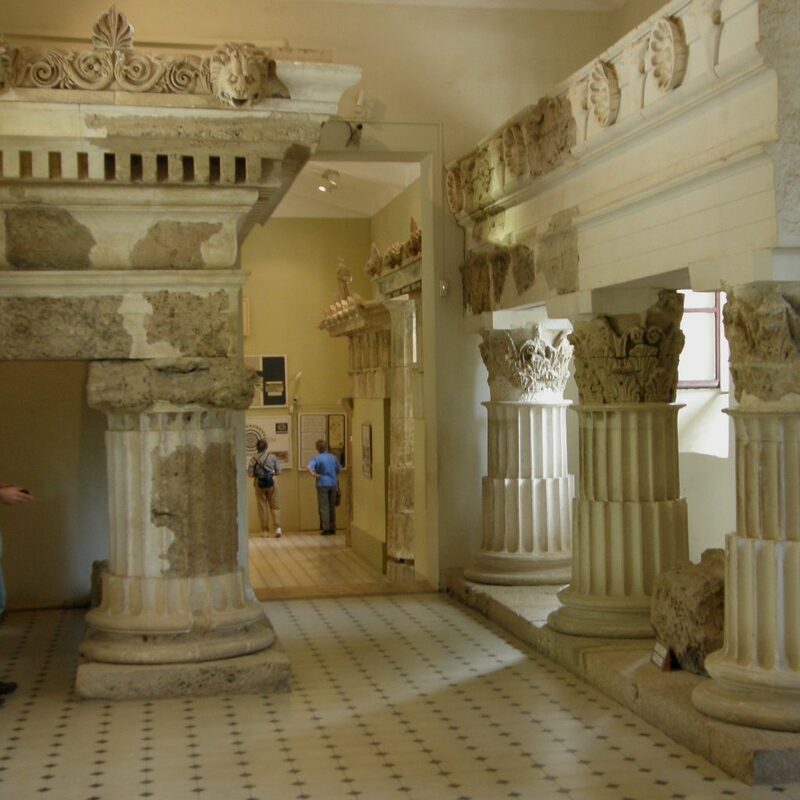 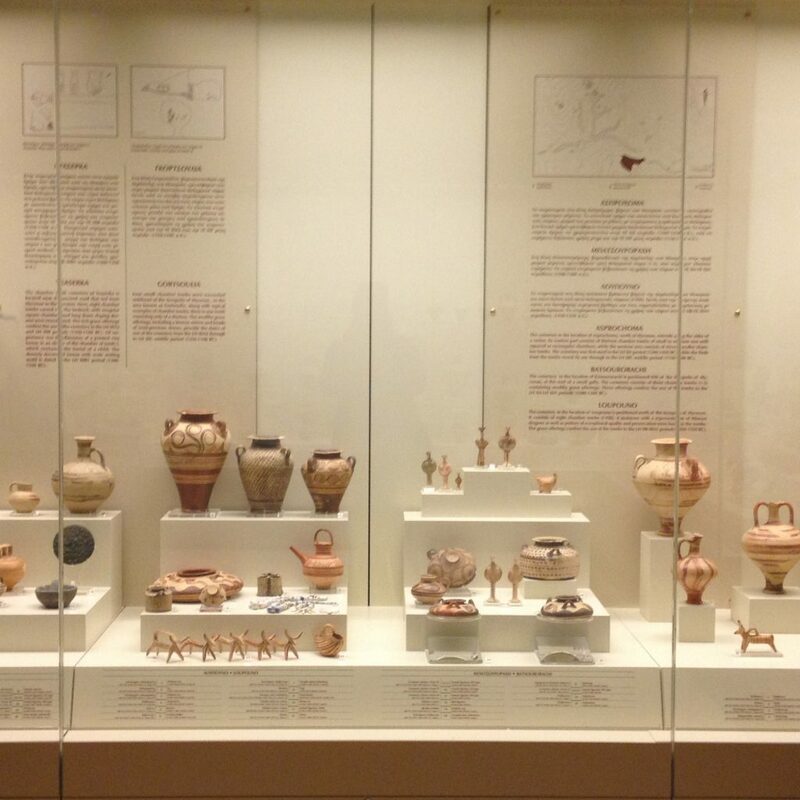 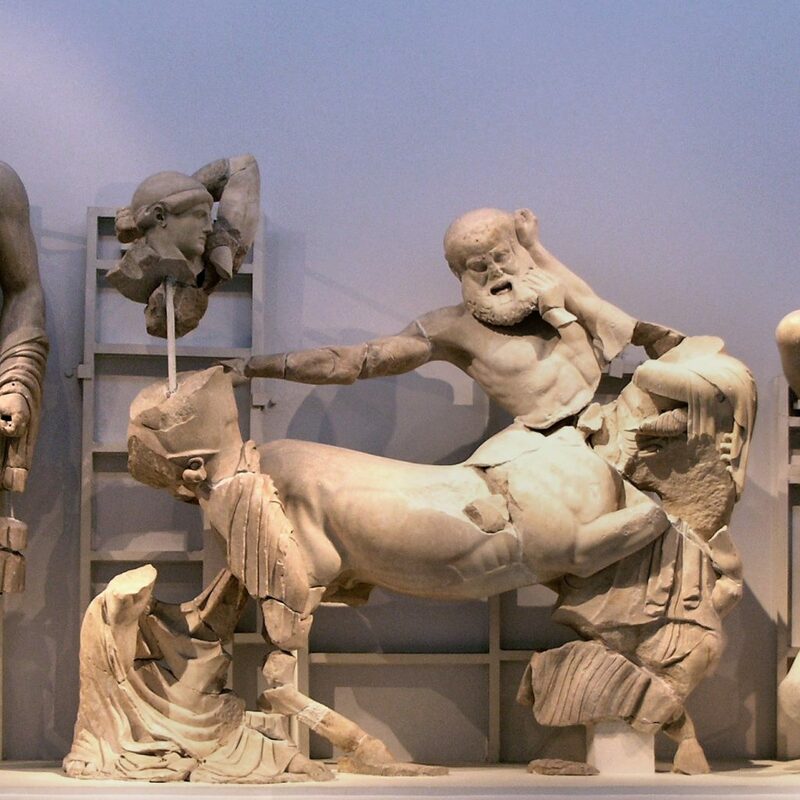 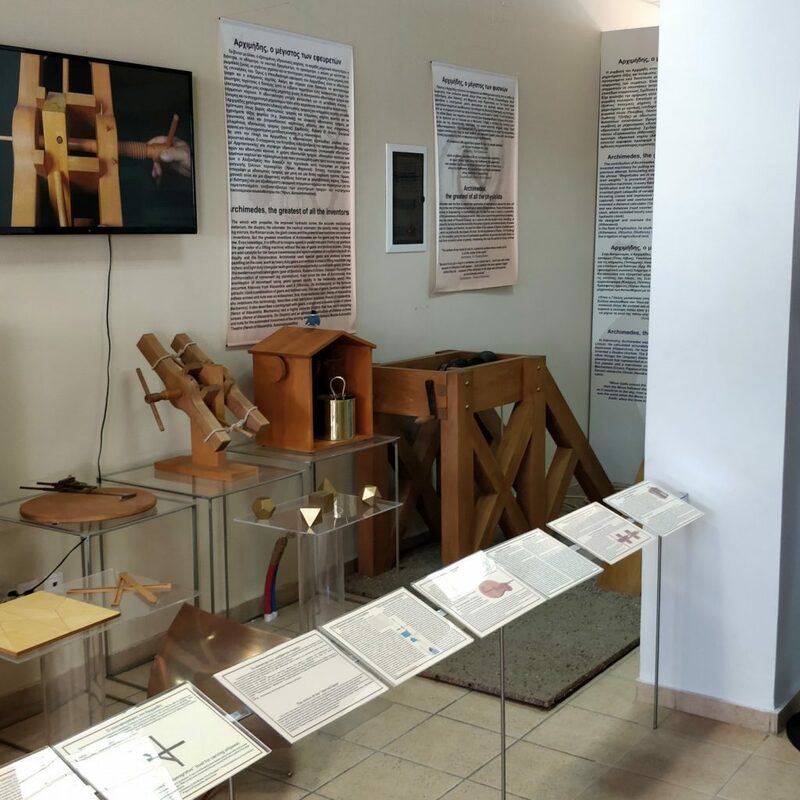 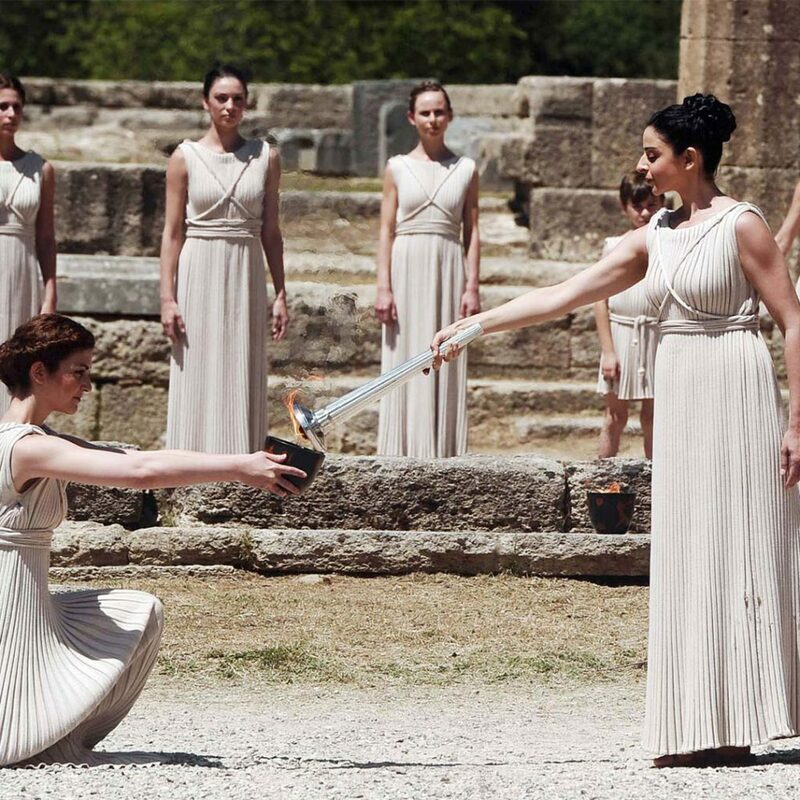 The Museum of the History of the Olympic Games housing 463 works from the Temple of Zeus will fascinate you! 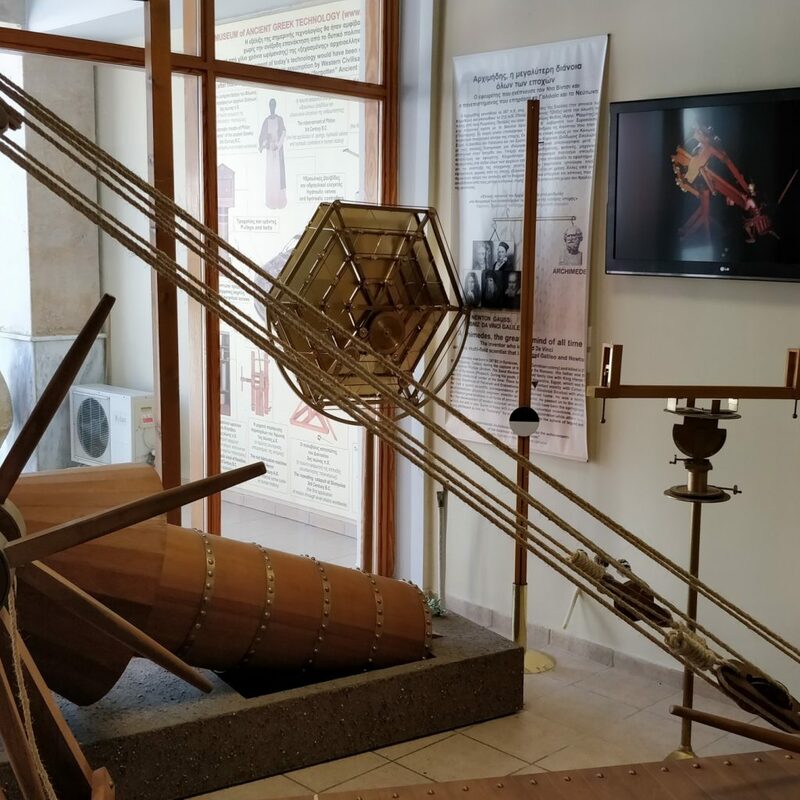 Enjoy your stroll through Olympia’s charming village visiting the wonderful museum of Archimedes, taking time out for shopping, refreshments and enjoy your authentic ‘village style’ Greek lunch at one of the local tavernas. 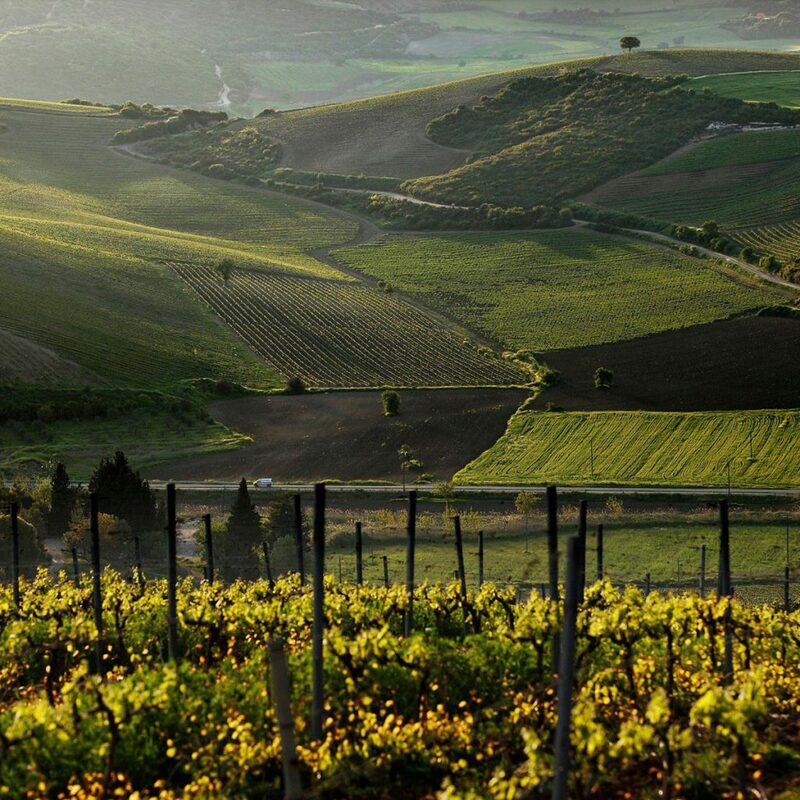 Want to Witness For Yourself? 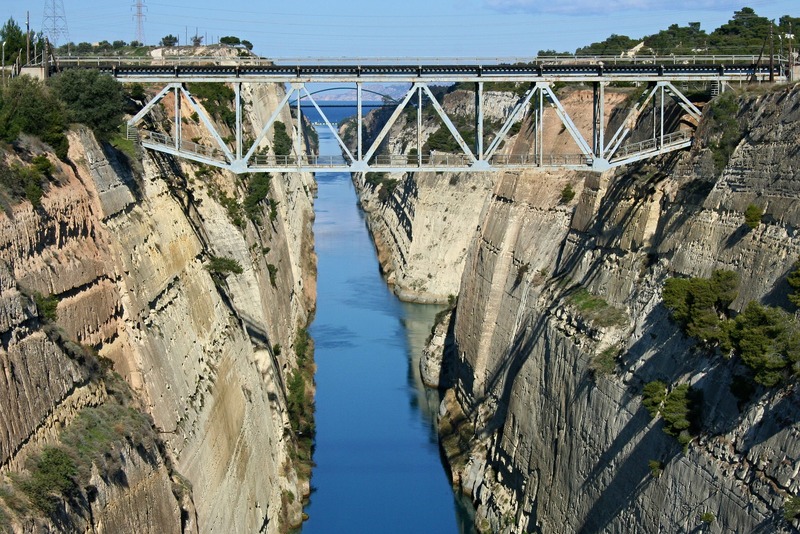 Private Tour Of Argolis & Isthmus Canal From Athens! 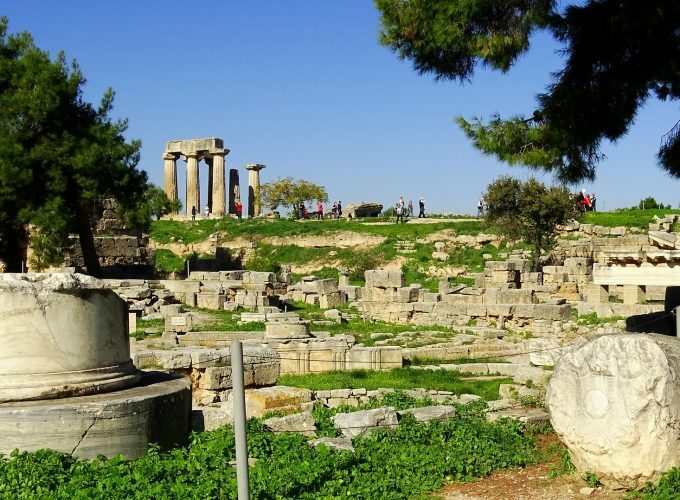 Private Tour of Ancient Corinth, Temple of Hera & Blue Lake from Athens! 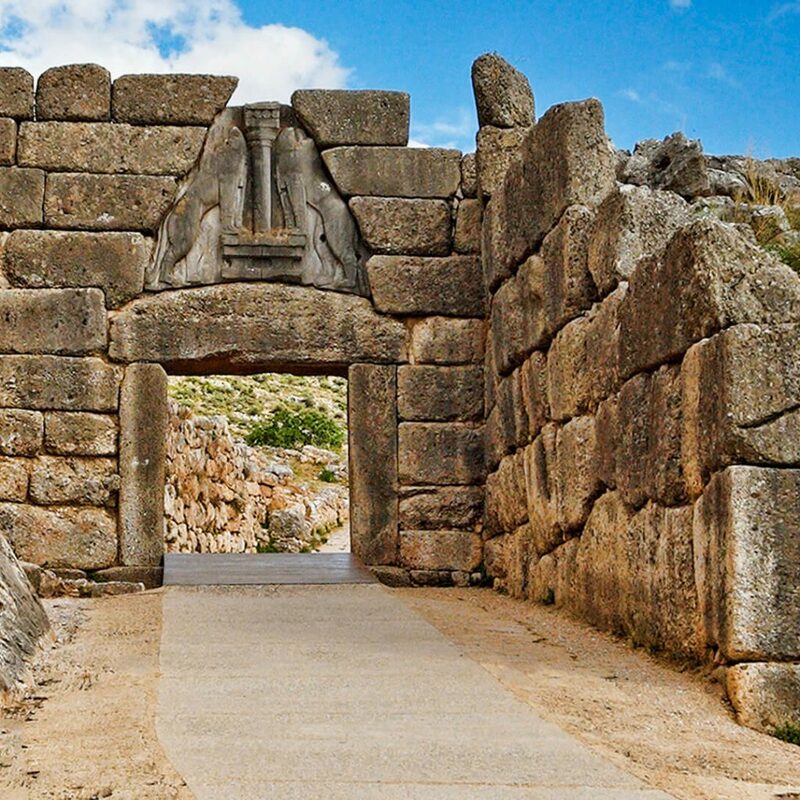 Private Tour Of Mycenae, Nafplio, Epidaurus & Isthmus Canal From Athens! 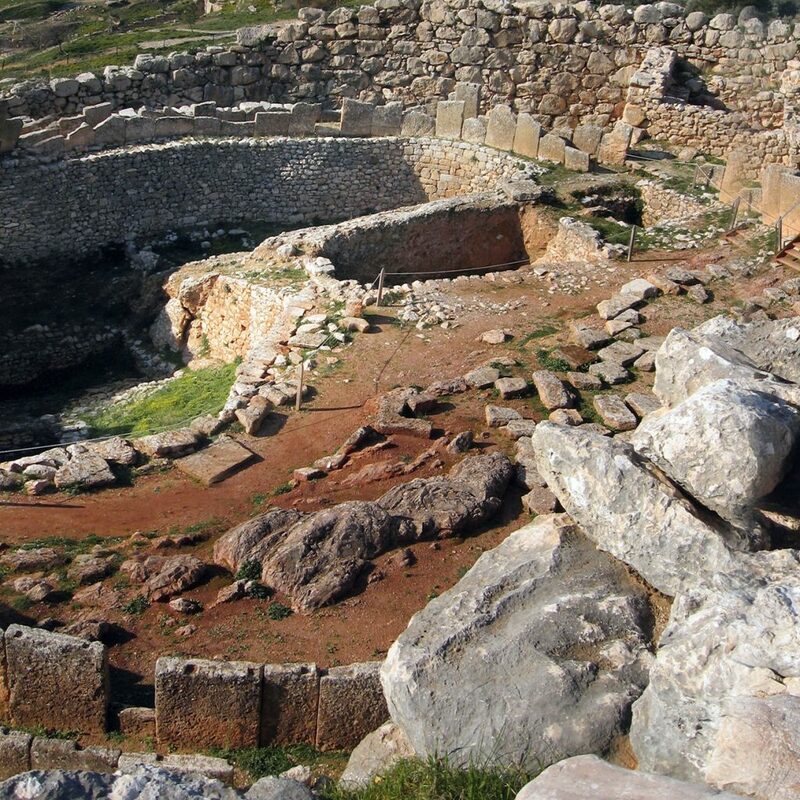 Private Tour of Blue Lake, Temple of Hera, Mycenae, Corinth & Isthmus Canal from Athens!